With unemployment at historically low levels, 2018 has been a challenging year for companies seeking to hire and retain good workers to fill hourly jobs and shifts, and 2019 is shaping up to deliver much of the same. The expanding gig economy will deliver benefits like work flexibility and additional income to mitigate underemployment, which remains an issue for many workers, as detailed in Snag's 2018 State of the Hourly Worker Report, while the growth in "on-demand" goods and services will lead to more warehouse, fulfillment, and delivery positions. At the heart of the rapidly evolving hourly labor market will be the workers themselves. Millennials continue to dominate today's workforce but will soon be overtaken by Generation Zs--those born in 1995 or later who make up the largest and most diverse generation in U.S. history. Many employers are struggling with how to successfully engage with Gen Zs, who display different behaviors and expectations from previous generations. Thanks to a lifetime of toggling between apps, Gen Zs process information faster, which makes them better multitaskers, albeit with shorter attention spans. The vast majority (92 percent) have a digital footprint and spend time on a multitude of platforms. Exposed to high-powered brands and a celebrity-driven culture since birth, they seek authenticity in all facets of their lives and greatly value their autonomy, which makes them less likely to remain in a job they perceive as negative or unfulfilling. 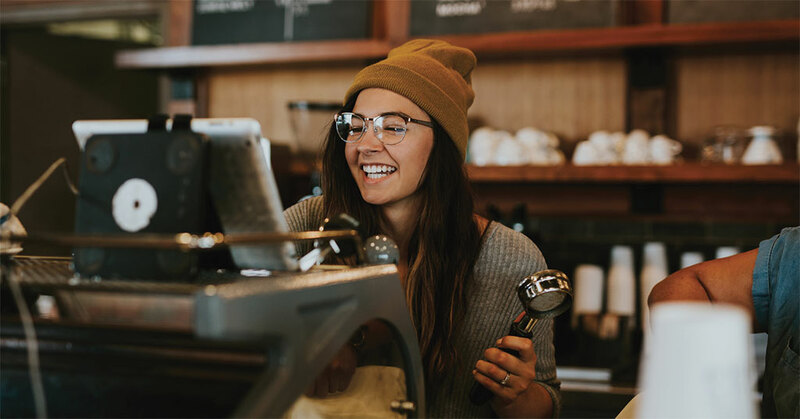 With the best Millennial and Gen Z workers becoming increasingly selective about jobs, leading employers in retail, restaurant, and hospitality are taking a fresh look at their recruiting strategies for hourly workers, seeking creative new ways of differentiating themselves in a fiercely competitive marketplace. One example is Starbucks, which recently launched new initiatives to provide its hourly workers with paid sick leave, stock grants, and subsidized backup childcare to increase retention and minimize no-shows. Here are some of the trends and issues we expect to have an impact on hourly work and workers in 2019. Continued wage pressure. Although the federal minimum wage hasn't budged in a decade, some 29 states have enacted legislation to increase wages, and major employers including Amazon, Walmart, and Lowe's are setting wage thresholds above the national standard. Employers and workers will increasingly adopt the "surge pricing" mindset of the gig economy, leading to higher pay in times of high demand. Improving the worker experience. When The Gap implemented a system providing workers with a more predictable and consistent schedule, it saw sales increase by 7 percent. A major grocery chain now allows customer-facing employees to seek permission from their manager to step off the floor to take an important call or text, while adopting a "respecting time off policy" that trains teams not to communicate with co-workers on non-emergency work matters during their days off. Such policies are increasing job satisfaction among both employees and managers. Leveraging new technology platforms. Businesses will redesign processes and adopt on-demand platforms and predictive analytics to accelerate the hiring of candidates who will be a good fit. Leading-edge companies like First Watch Restaurants are already dramatically streamlining the application process in order to hire workers in near-real time. At the data level, companies will begin leveraging artificial intelligence and machine learning to achieve highly personalized and real-time interactions between employers and workers. Jobs and shifts. More companies will post both jobs and shifts as technology makes this economically viable and "time-to-fill" rates drop from days to hours, and even minutes. Cava, the Mediterranean restaurant brand, is using our Snag Work to fill same-day shifts caused by callouts or surges in demand, allowing them to keep their restaurants fully staffed. Changing expectations. Businesses will train their managers to better understand the expectations of the new work force, with Gen Zs in particular seeking tools and training that will lead to long-term career success. When employers find new ways of differentiation that go beyond wages and benefits, the companies themselves also benefit, as higher levels of worker job satisfaction pay dividends in the form of higher sales and lower turnover. And those types of bottom-line results are good news for everyone. Fabio Rosati is the CEO of Snag, the largest platform for hourly work.